Third Friday at Naked Art: Homegrown Comics and Cartoon Art! Hey, check out this event, and please attend! Adding another new Salty 'Ham to the mix: Peyton Knight! 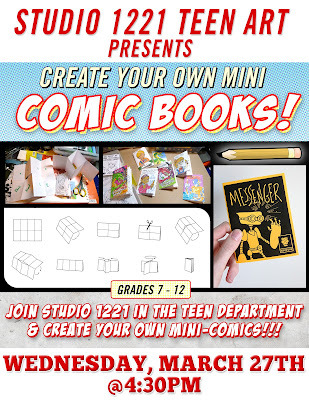 Looks like I'm gonna be using the letter size fold em up mini comic idea for a Teen Art program at the library later this month. If you know kids grade 7-12 who would groove on it, point em towards the Vestavia Hills Library. 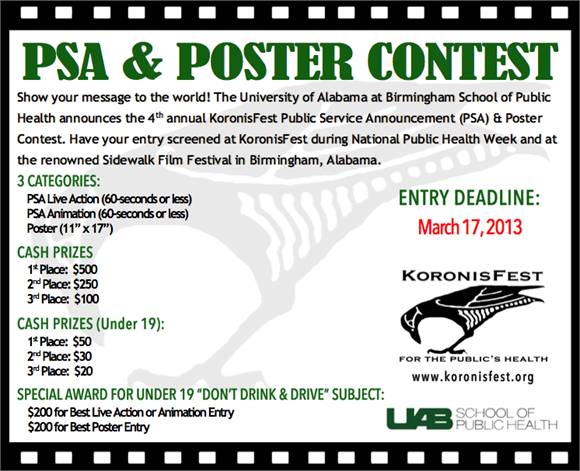 Every year, the UAB School of Public Health has this contest, and here it is again. For more info, visit their website. By the way, I'll be one of the judges this year, in the animation category. Derek Anderson just commented on the "Modest Proposal" post below (and posted a cool lizard drawing just below) so I thought I'd take the opportunity to update that idea. I haven't posted here in a while but thought I'd share some stuff I worked on recently. As fellow Salty Hammers may recall, old Cheese Wiz here does design work from time to time for the Library in the Forest in Vestavia Hills. For the last few years I've been depicting the kid's department mascot in various forms for their summer reading programs. This summer will be no exception as Herman the Bearded Dragon goes searching for buried treasure! Namely, knowledge gleaned through reading: the most valuable of all treasures.